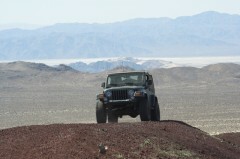 Jim sent me some good pics from the Mojave Road, so I added them to my collection. They're mixed in and labeled "Jim's Pic" if you want to look at them. Also, check out John's pics and Ron's pics. Three days and 138 miles of beautiful, untouched high desert that begins at the Colorado River and ends near Barstow California. We had a great trip this year with 20 guys in 13 vehicles. Nobody broke down, nobody got hurt and everyone got along. Can't ask for much more than that. Here are the pictures. I was in the sporting goods department at Wal-Mart the other day. 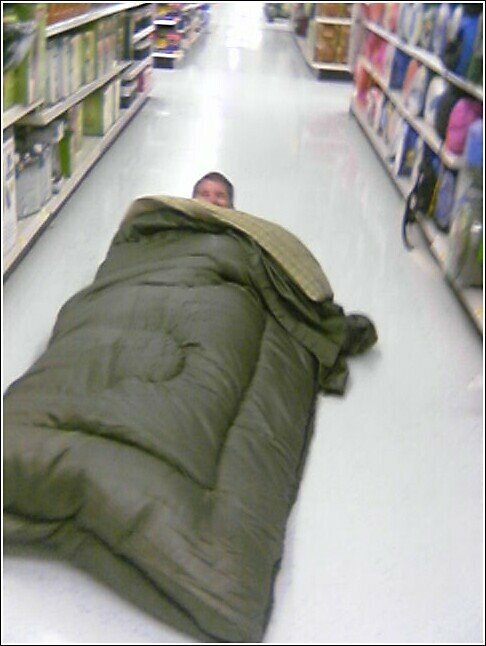 I'm minding my own business when this weird guy decides that he's going to try out a brand new sleeping bag right in the middle of the store.